I saw this video yesterday and, along with 60 million other people, clicked “Like”. Because I really like it and was still thinking of that baby’s face today. Why does that baby love his mom so much? Is it because he realizes how incredibly kind she has been to him already, and how she intends to carry on protecting and loving him with every fiber of her being, even when she feels grumpy? What’s not to love? There is a meditation in Buddhism called “remembering the kindness of mothers” where we itemize in detail all the kindness our mother has shown us from the moment we were conceived. 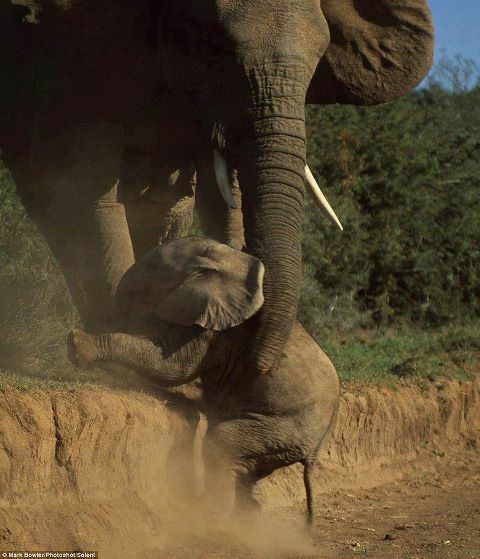 The reason we do this is to love her, like this baby loves his mom. This baby recently had a long stay in his mother’s womb – he was an “uninvited guest”, causing her to swell up like a whale; but she not only let him stay but protected him carefully, “more carefully than she would guard a most precious jewel.” In every situation she thought of his safety. “She consulted doctors, exercised, and ate special foods”, avoided lots of things she really liked such as alcohol and going out late, and nurtured him day and night for 9 months. You can see why he might appreciate her. No wonder he loves her. Our mother naturally behaves toward us like someone who has gained the realization of exchanging self with others, cherishing us even more than she cherishes herself. Yeah, what’s not to love?! Seriously, no wonder he is looking at her like that. As we would be looking at our own mother if we remembered even a fraction of what she has done for us. By meditating in this way, recalling the kindness of our mother in great detail, we will come to cherish her very dearly. Since it is impossible to find a beginning to our mental continuum, it follows that we have taken countless rebirths in the past; and if we have had countless rebirths, we must have had countless mothers. Where are all these mothers now? Good question, where does everybody get to from life to life? They are all the living beings alive today. Imagine having that affectionate regard for everyone all the time? This would be a very different world. It would be a world full of love, gratitude, and appreciation wherever we turn. It would be a very happy world. We always have a choice how to view people. We can continue to see them through the lens of selfish desire, aversion, and/or ignorance, and continue to be miserable as a result. Or we can decide to stop being taken in by superficial and ever-changing mistaken appearances, learning to look deeper and therefore kinder. Because of changing our rebirth, we do not recognize our former mothers, relatives and friends, and now because of this we see the majority of living beings as strangers and many even as our enemies. This mistaken appearance and conception is ignorance. Strangers and enemies are just creations of this ignorance. In truth, there are no living beings who are strangers or our mothers because they are all our mothers, relatives or close friends. There is nothing fixed about our world. Ignoring or adopting this view is our choice to make. I think it depends what kind of world we want to live in. I’ve been thinking about Thanksgiving, probably because it is Thanksgiving today – and I’m thinking that Buddhism teaches two very good reasons to give thanks, both of which have universal relevance. The first is being thankful because we have such a precious human life right now. The second is being thankful to others, because without them this life would be impossible. Contemplating our good fortune makes us feel lucky to have it – and feeling lucky is feeling happy. Contemplating others’ kindness opens our heart to gratitude and appreciation, and feeling grateful is also feeling happy. Feeling happy in turn makes us value what we have and value others, and then we are far more likely to use what we have to pay others back. As for the first, we have everything we need to make spiritual progress in this life. And even leaving the opportunity for attaining permanent freedom and enlightenment out of it, from a mundane point of view we are also far luckier than most of the other humans in this world, not to mention all other living beings, such as the cat on my lap. In an earlier article I listed the results of some research showing what happens if the whole world is to be shrunk to a village of 100 people, with all existing human ratios remaining the same. That list of what could be but isn’t shows us where we fit in the grand scheme of things, and it occurred to me that every one of these good fortunes comes entirely from others. As a kind of contemplation, therefore, I’m going to list each one and then explain (1) how lucky that makes me, and (2) how this luck is all thanks to others. 80 would live in substandard housing. Yesterday I was standing outside in Denver waiting for someone to give me a ride home as it felt bitterly cold and I was carrying shopping. I waited next to a guy in his twenties whose face was blue with cold. He had a skinny Chihuahua with him, and they were walking quickly up and down the sidewalk to keep warm. “When are they going to get a chance to get warm?”, I thought, for they were both homeless. I on the other hand live in a well-built house, and it comes entirely from others’ kindness, as I have never built a house in my life and wouldn’t know where to begin. 67 would be unable to read. How much I take for granted my ability to read and write. When I was staying in a remote Brazilian rain forest some years ago in meditation retreat, none of the valley dwellers had a reading age past 12, and as a result their world was quite confined. Primary school teachers spent many hours or even years teaching me to read and write, skills I use hugely every day; and I can’t even remember their names. 33 would be without access to a safe water supply. I may complain when the water doesn’t come out of the faucet, but we know how far many people have to walk each day just to carry back a bowl of water, the amount I probably use washing a few pieces of cutlery. And all the water I take for granted comes entirely from the kindness of others. 39 would lack access to improved sanitation. I certainly take my bathroom for granted. But why!!? And how kind of others to provide me with sanitation so I don’t have to use a hole in the ground or wash once a year. 24 would not have any electricity. It’s been cold outside, as I said. But I am very cozy and warm inside. I can also stay cool in summer. The lights are on; I just have to flip a switch. Yes, it is worth thinking this one through – the moment by moment infrastructure of my life is a result of others. 7 people would have access to the Internet. I am able to write and post this, for a start. And all I have to do is move my fingers over the keyboard – fingers provided for me by my parents and typing taught me by … again, I’m afraid I’ve forgotten their name. 1 would have a college education. The fact that we have any education is a blessing, and it all comes from others. 2 would be near birth; 1 near death. I will indeed be near death before too long, in that regard we are all the same; however, I have better chances of good health and a long life than most due to doctors, good nutrition, etc. – all again coming from the kindness of others. 5 would control 32% of the entire world’s wealth; all 5 would be from the US. Hmmm. The richer we are, the MORE we depend on others. Also, in the same article I spoke of how much religious freedom we have compared with most people in the world. And, again, this makes us both very lucky, and also very indebted to those who provide us with everything we need to make spiritual progress and bring an end to suffering. All told, we are outrageously lucky and it is worth thinking about this from time to time rather than focusing on what is wrong with our life – of course we all have problems, but our problems are a walk in the park compared with those of others (see above.) Better to count our blessings on a regular basis. We may not have all the icing, but we DO have the cake. I hope you enjoy your cake and eat it this Thanksgiving, and indeed every day. We can thank our lucky stars for being so lucky, and thank pretty much every living being as they have all directly or indirectly had a hand in bringing us this good fortune. And now we can pay it forward — using these current great conditions to become a better person, hopefully even a Buddha, for others’ sake. I have had the thought of late that I don’t think I’ll ever be completely, utterly happy until I realize I am everywhere. We all are, as there is no world outside our mind. Whereas it is a surprisingly un-big change. Plus, give me a dollar or a quid for the amount of solicitous comments I’ve received along the lines of whether I am feeling at home yet? (I am, thank you.) But the truth is I don’t feel I left home. Home is where the heart is, as they say. My home is in my heart. Luckily, my heart goes with me everywhere. Florida was only ever dreamlike appearance to my mind, and I can still “be” there when I want to in my heart-mind. Same for everywhere. As Geshe-la points out, the mind can go anywhere – it’d take considerable effort and expense to lug my body to the moon, but my mind can go there in an instant just by thinking about it. Florida is empty of inherent existence and can be anything depending on my thoughts, so I like to imagine it as a Pure Land — I still enjoy offering it up to all enlightened beings and living beings, with all its pterodactyl pelicans, lapping turquoise seas, and gorgeous gargantuan tropical undergrowth. My hairdresser yesterday spent 10 minutes marveling aloud at the Armadillo she had once seen in Florida – I offer him up too, along with, now, the swans in Sefton Park, the miniature chirpy birds, and the timeless and Tara-green English countryside. Be here, now. Be everywhere now. Love is the great connector. With equanimity, we reduce our sticky attachment Velcro-ing us to our only (bring out the violins) loved ones, and love the ones we’re with as well as the ones we’re not currently with. (An anonymous flower fairy just left the first daffodils of spring outside my door with a message wishing me a joy-filled day — what’s not to love about Liverpudlians?!) [Remembering how everyone is our kind mother and that we depend on others for every atom of our being, we can feel at home anywhere. Love makes us feel entirely connected, settled, and supported – it stops loneliness and homesickness in their tracks. That’s what I mean! Why wouldn’t I have her on my mind? Why would I be concerned for her over there but not over here?! To prove it, I’m now going to dedicate this article to her and Chuck. One of the six general sufferings of samsara, according to Buddha, is Uncertainty. Impermanence means that everything is unstable – our relationships, our locations, our enjoyments, our bodies. Unless we find a way to transform change, we are in for trouble – and not just in this life but in all our future lives. She doesn’t remember saying these things, but I do. Why am I telling you all this? Partly as I’m feeling chatty, and partly because it has been my karma so far in this life to move around a great deal, and this uncertainty has given me ample opportunities to contemplate the truth of Dharma. So, hopefully, if you’re perhaps in the midst of some big move or change, reading this might help a bit. All this moving is nothing, obviously, not to mention luxury compared to the amount and type of upheaval experienced by refugees all over the world. It is also nothing compared to our constant travels from life to life. Other general sufferings of samsara are having to leave our body over and over again and having to take rebirth over and over again. Change is inevitable so if we can find a way to feel at home and to feel happy wherever we go — place to place and life to life — we are free. We have mental freedom. That’s what I want. Geshe Kelsang left Tibet with just his robes and 2 texts in the late 1950s, and then he had to leave India to come over to an alien West to try and bring peace to a bunch of materialistic, self-indulgent (speaking for myself) barbarians. Not only did he remain perfectly happy through all of these upheavals, but I am quite sure he has mastered the art of being everywhere at the same time, as well as never leaving home. That modern-day phenomenon, Facebook, is a connector too, in its own way. At its best, it helps people feel close across continents, in that locationless cyberspace that could be anything really, so make of it what you will. I was recently talking to a young teenage boy about Facebook in the World Peace Café downstairs, and he told me that Facebook doesn’t work because you can only really have 130 friends. I knew what he meant, but I still told him it wasn’t true – we can love as many people as we want, it is up to us, not up to them. A Bodhisattva is known as a friend of the world. Karmically a Bodhisattva may spend more time with some people than with others in any given day or year, but mentally they remember their deep connection to everyone in the universe. If we emulate this, then when we physically encounter old and/or new friends in this and future lives, on Facebook or anywhere else, we are ready for them! The mandala and Deities are this bliss and emptiness appearing as completely pure form, pervading time and space. Bliss and emptiness are in our heart and they are simultaneously everywhere. Heruka and Vajrayogini are everywhere. Compassion and wisdom are everywhere. (At the least, I like to be in 24 places at a time …) You can find out more about Tantra in Geshe Kelsang’s books. Buddhism does nothing if not expand our horizons. We think about limitless past and future lives, limitless worlds, beginningless and endless consciousness and time, how every single living being is our mother, how there is nothing really “out there” as everything is mere appearance to our mind… We can break out of our poky prison, so dingy we can hardly see past the end of our nose, with its bars of self-grasping ignorance and self-cherishing. If I check my problems, I can see that they all stem from grasping at things as fixed and real and/or thinking my own happiness and problems are far more important than everyone else’s. Dharma expands us in space, time, awareness… til we feel connected to everything and everyone in a non-dual experience where prison walls have no place. Then we spring everyone else from this crushing prison as well, bringing them to an absurdly welcome and serene state, bringing them home. This beggar did not question the selflessness of Paris Hilton’s motivation before accepting the gift; he just appreciated having the $100 … In the same way, if we benefit in any way from the actions of others, then for us they are kind, irrespective of motivation. I became an American citizen last year. Even pre-warned by my aunt, who had been at her own Ceremony a few months earlier, I still couldn’t quite believe that I teared up to Neil Diamond singing Coming to America. During the Ceremony you watch a film montage of faces of immigrants from the last 100 years – photos of travellers of all ages coming through Ellis Island to start again, to be reborn, with nothing in their pockets, but with a burning hope that their future will be a better place. (And due to the kindness of others, it often was.) I was struck by how all my enjoyments here in New York have arisen from the kindness of immigrants I never knew who built this city. There is a walk in Manhattan you might enjoy sometime. It takes you from the Hudson River Park on the Lower West Side down to the Robert F. Wagner, Jr. Park overlooking the Statue of Liberty and Ellis Island. I sit there sometimes, looking out toward that iconic figure holding the flame of freedom in her outstretched hand, the symbol of opportunity, and meditating on just how lucky I am — on how every single cell of my body arises in dependence upon the kindness of others. I woke this morning with a body conceived by my parents, and grown from enormous amounts of food provided by them and others. My parents also gave me my name, which I use all the time! As I slept, my head rested on a pillow made by someone I never knew in the Philippines, on sheets sown by Indians, under a duvet stitched together by Californians. People in Philadelphia filled my mattress. I stepped out of my bed to land on a rug woven by Tibetans in a house built by Americans in the 1920s. I drank Indian tea planted, grown and harvested by hundreds of workers, in a tea-cup designed by someone in China, stirred by silver spoons welded by people from Sheffield. I put on clothes fabricated by numerous people, all able to do it by being supported by numerous others, in Pakistan, Indonesia, America and England. And that was all in the first five minutes of my day! I greeted my neighbors in the English language created from the German and Romance languages, improved in large part by Chaucer and Shakespeare, carried down through countless generations, and gradually taught to me by many different caregivers. I commuted to the library to work on sidewalks laid by others, avoiding cars by following traffic lights invented by others. Others created my job and the demand for my work, and even the money I earn for my labors was invented and printed by others. For entertainment this weekend I might check out a movie, which if I bother to stay and watch the credits I will see was produced by a team of thousands. I will also read a Buddhist book that has come to me by some miracle from generations of wise Teachers who practiced these teachings and so kept them alive for me today. I live in a body and a world constructed entirely from others’ kindness. Precisely what did I do to create the necessities and comforts of the world I enjoy moment by moment? Almost nothing. If I had to give back everything others have given me, what would I have left? Nothing at all. As well as increasing my feelings of gratitude, I find this meditation makes me confident – I don’t feel the need to go grasping at friends because I feel full of love already. And I think it can also have the side effect of helping us become popular! It is an awful irony that when we are lonely and desperately need a friend, our loneliness can give off an unattractive energy that makes a lot of people uninterested in coming anywhere near us. We seem like altogether too much hard work. Conversely, when we look like we can take it or leave it, we have that genuine air of confidence that makes us irresistible. Postscript: I asked a friend for this article as I have been traveling a lot recently and unable to blog. I’m pleased I did, as I really like it. Please feel welcome to contribute articles yourself, sharing your own experiences of putting meditation into practice in daily life. Over to you: Do you live in a world of kindness?